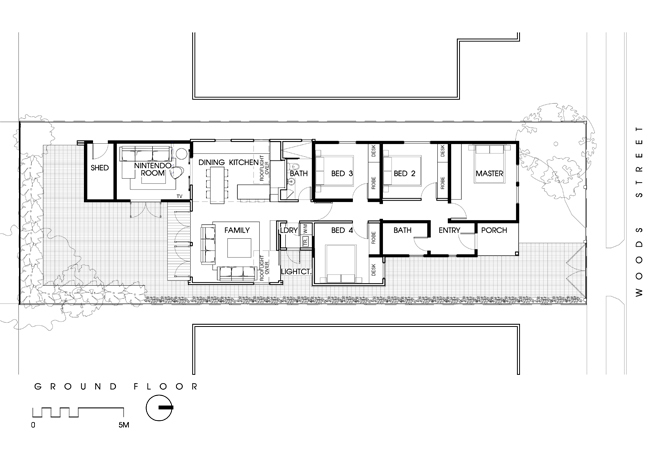 A home as casual and easy going as it’s residents. 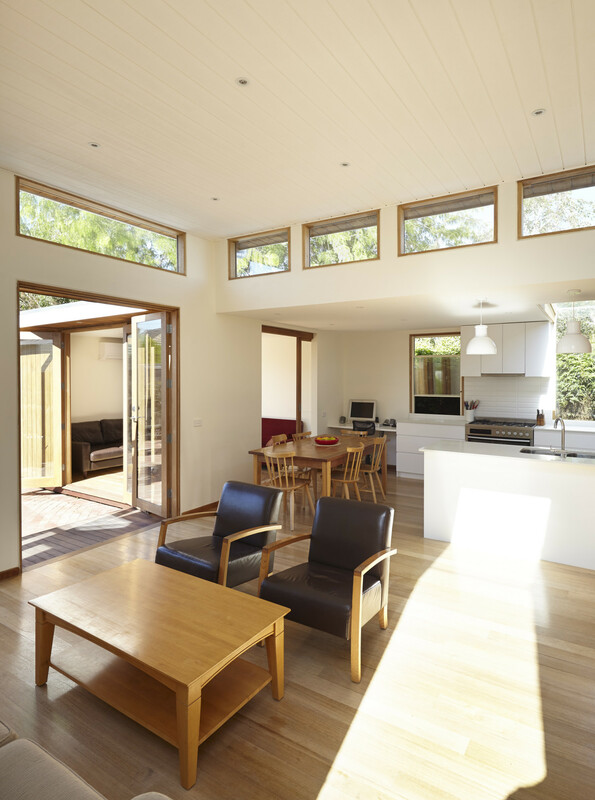 Low maintenance, no frills materials were used to create a cost effective yet compelling extension to the rear of a family home in Newport. 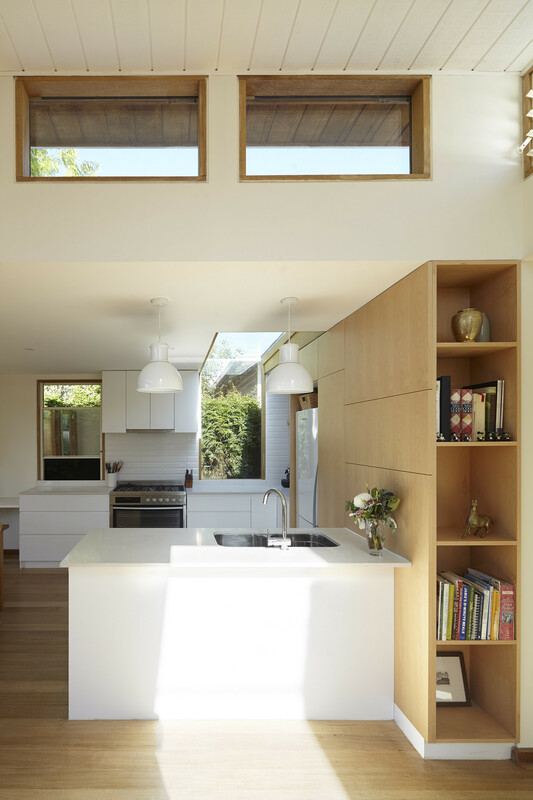 The middle of the home had long suffered from substandard foundations, this extension replaces this middle section with a new kitchen, living, dining, bathroom and laundry. 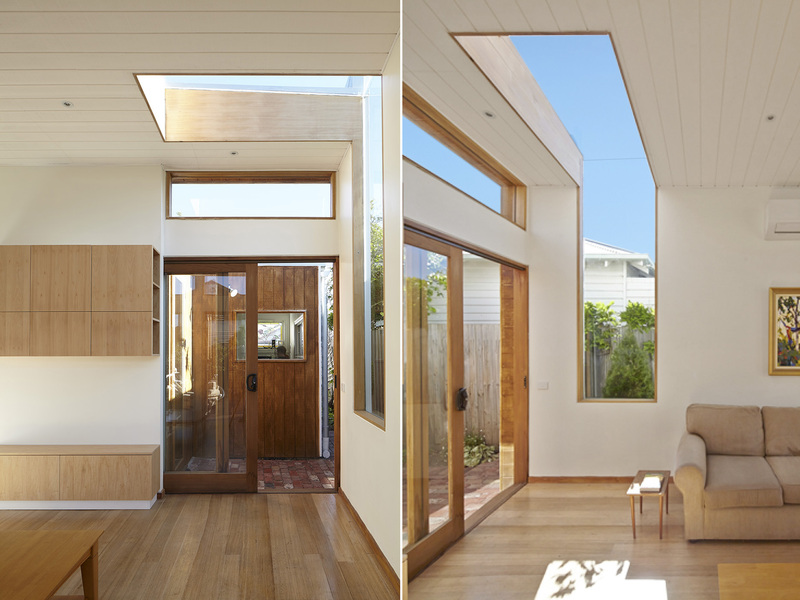 In addition, existing spaces were extended and converted into a second living area, and two new bedrooms. 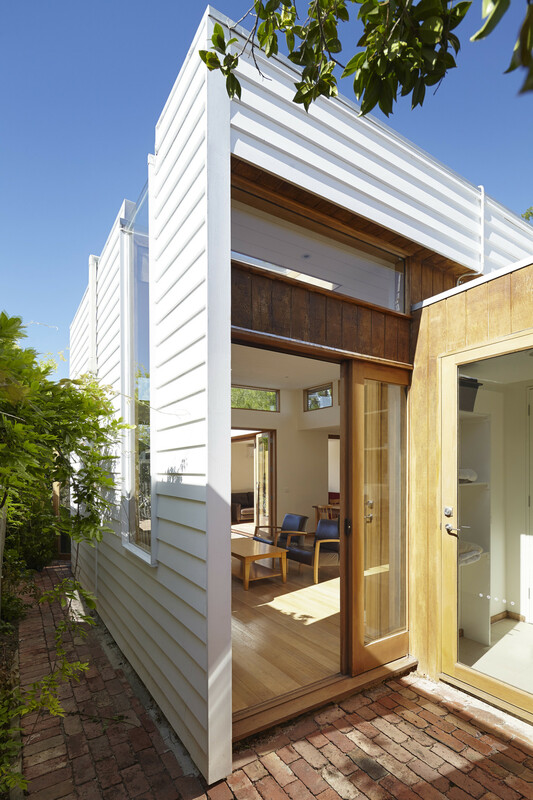 The brief was to create something low key, beachy, contemporary but still respecting the character and materiality of the weatherboard cottage at the front of the property. 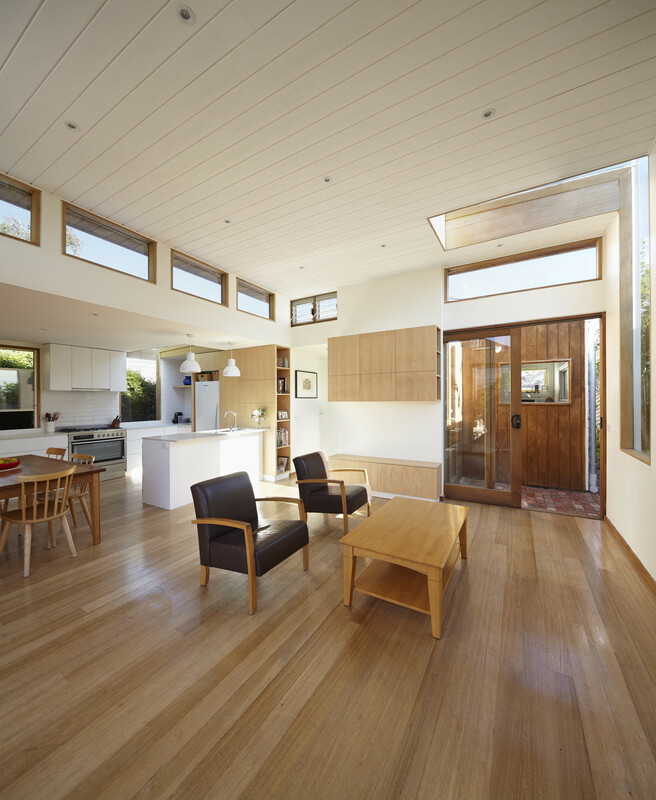 Room to kick a ball, connection to the outdoors and ease of moving surfboards and sporting equipment from the rear of the house to the car in the front was top of mind for these clients. 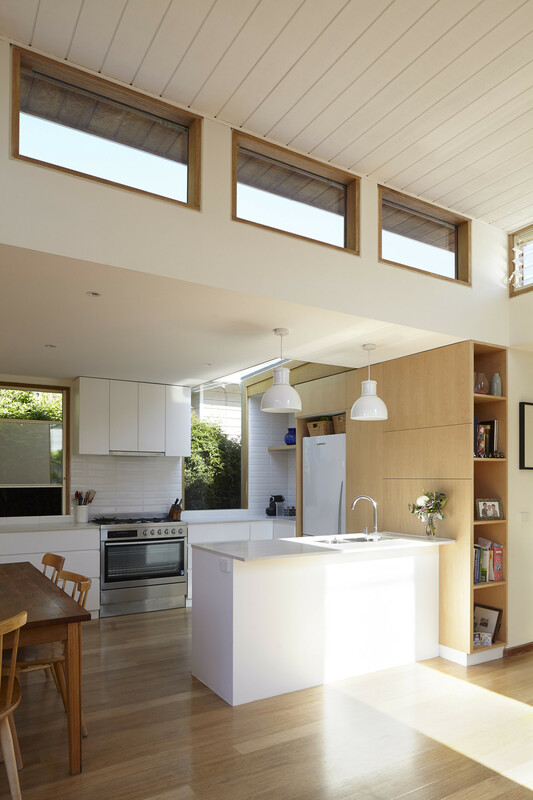 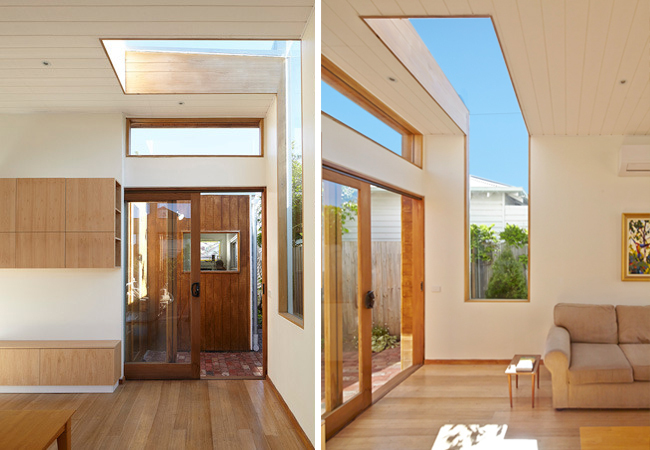 Buried to the south of the existing weatherboard, clerestory and wrap around windows were employed to bring warming northern light deep into the open kitchen, living and dining area. 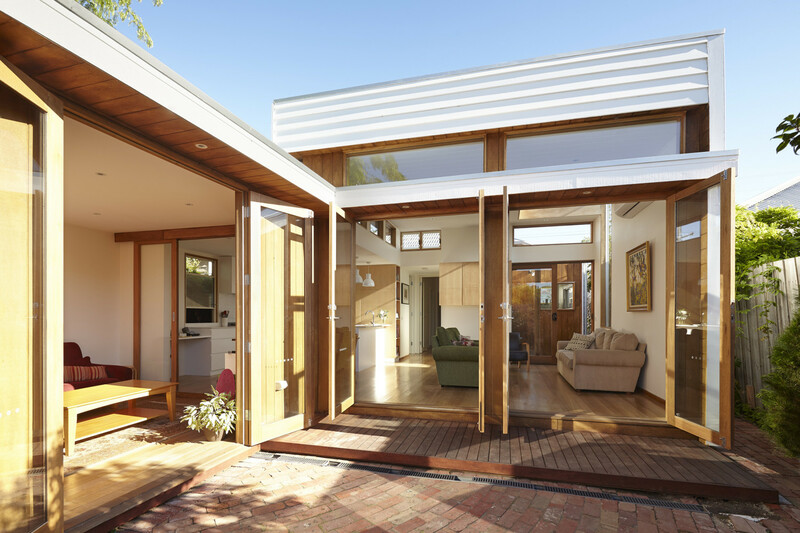 Timber doors, windows and birch joinery to the kitchen, living, bathroom and bedroom robes add warmth to the house and help create a sense of home.